Bart Araujo is an intense man. It’s obvious when you meet him, if you’re paying enough attention. And you’d have plenty of opportunity to pay attention during a visit to his Araujo estate, which for me began not in the vineyard, but in the winery’s offices. We were standing in front of empty bottles of some of the best wines that this Calistoga property – the Eisele vineyard – has ever produced (some of which were made in basements during the `70s and `80s by dedicated hobbyists, and are obscure enough bottlings that you’ve likely never heard of them, even if you consider yourself a fervent wine geek. 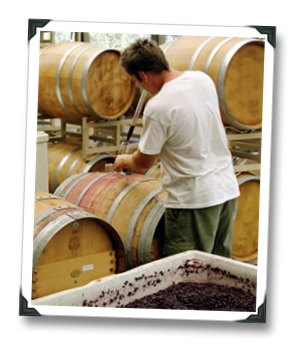 Bart gave the same treatment to Jon Bonne recently, so I’m pretty sure that the brief history lesson in the final products from Eisele vineyard is S.O.P. for visiting press at Araujo. The message? Context is everything. Given his obvious pride in the history of Araujo, including its wines and the heritage of its impeccably maintained Calistoga vineyard, one might also mistake Bart Araujo as smug. 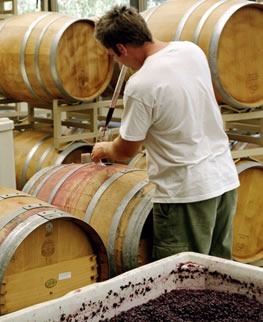 While his demeanor has been described by one Calistoga wine insider as possessing a good deal of the “Yes, I did” factor, that too is misleading – it would be more accurate to say that Bart Araujo’s demeanor reflects his knowledge of what the Eisele vineyard is capable of producing when it comes to fine wine. 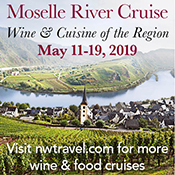 Which is to say, some of the best wines produced in all of the Napa Valley – putting them in the running for some of the best wines in the world. “Yes, It did” is what Bart’s demeanor is actually saying. Why are we spending so much time on Araujo’s proprietor? 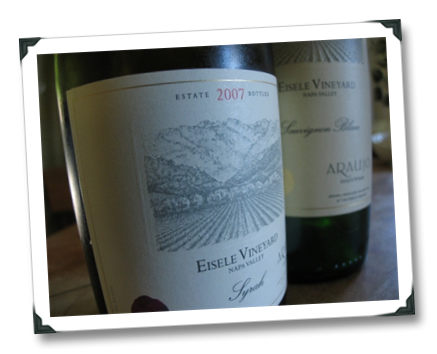 Because in this case, context really is everything, and to understand Araujo’s wines, you need to get inside Bart Araujo’s head, just a little. He is far from a distant figure of a landlord: he still helps to make the call on the final blend, and is familiar with even intimate details about what is happening in their biodynamic vineyards. Saying that Bart is involved in the production of Araujo’s wines is a bit like saying that Argentinosaurus was a slightly oversized dinosaur. I get my fair share of wine samples, with a large proportion coming from California. This is due mostly to proximity (regional wines), as well as the fact that the CA makes the vast majority of U.S. wine, hence the large number of CA samples stopping on my doorstep. Most of those CA samples come with some form of wine information / tech sheets, and when they do, those tech sheets almost invariably contain a vintage report. An utterly useless vintage report. The vintage report is often utterly useless because no one ever says anything except that the grapes ended the vintage with optimal ripeness. It’s become a joke for me, a game almost, to see if any of these press release vintage reports would ever admit that the grapes absolutely fried on the vine this year, or that they ended up greener than an under-ripe banana. It will probably never happen. Just when you think that the topic of wine is starting to make sense and really come together for you, you’ll probably encounter the convention of naming large format wine bottles. That should put you firmly back in your lowly place, since the convention of naming bottle sizes carries on the storied wine tradition of utilizing differing standards in order to confuse the living hell out of you. 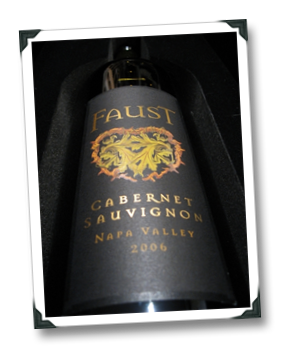 I’ve been “thinking big,” as in large format bottles, since I recently won a 3L bottle of Faust 2006 Napa Valley Cabernet via the Palate Press Wine For Haiti auction. The bottle is gorgeous (see inset pic). The trouble is, I don’t know what to call it. Before we get into that, I should tell you a bit about Faust itself, I suppose. 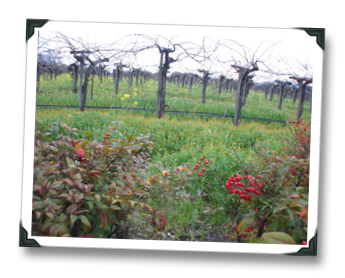 As far as the 2006 goes, it’s 77% Cabernet Sauvignon, 19% Merlot, 3% Malbec, and 1% Cabernet Franc – all from Agustin’s family vineyards in Rutherford and Atlas Peak. As far as Hunees goes, according to the Faust website, “He also believes that numerical ratings, as they are used today, are an aberration.” Strong words. Interestingly (as far as the bottle size discussion goes), I first tried this Faust vintage (via sample) in a 375 ml half-bottle. I’ve yet to have the wine from a “normal” 750 ml.